The Parklands community in East Christchurch was badly affected by the 2011 earthquakes. This is a story of how two unlikely collaborators came together to create something new for the whole community, using a community-led approach. 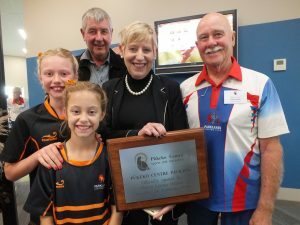 After the February 2011 earthquakes, both Parklands Bowling Club and Parklands Rugby Roosters club found themselves without a home. The bowling club’s greens had been ripped apart by the quakes and badly damaged by liquefaction and their pavilion was in a state beyond repair. At the same time, Parklands Roosters Rugby club changed overnight from a sports club to a “welfare club” according to the former Chair, Maurice Lawlor. The club sprang into action to support its members, who were devastated by the quakes. The earthquakes had also caused damage to the Roosters’ base and so, they were looking for a new home as well. Together, the two organisations came up with the idea of creating a new centre that both clubs could use, which could also be opened up to the wider community. This marked the start of a wonderful collaboration by the two clubs to build not only a new clubroom, but a new community centre. The process started with a lot of community consultation and some support from other organisations. Lawlor, now the Chair of the Pūkeko Centre Committee, says that Christchurch City Council and the local residents’ association helped the newly formed committee to identify community groups in the area who might be interested in using a new community facility and from this, networking groups were formed, made up of interested individuals, organisations and local businesses. The committee also engaged with the Burwood-Pegasus Community Board on a regular basis and have had a lot of support from Sport Canterbury. Lawlor added that they also had a trade show to which they invited all the community groups. This was an opportunity to “talk about what their needs were and to share our vision”, he says. Lawlor explains that the committee ran an independent capability study which included consulting a wide range of groups. They also engaged an external consultant, who came in to facilitate community discussions around what was needed. The community had input into the name of the centre as well. It was chosen due to the fact that female pūkeko all lay their eggs in the same nest and the eggs and chicks are then nurtured by the whole community. Building a new clubroom was going to be too expensive, so they needed to think outside the square. This resulted in two buildings at the local, closed Freeville School being identified as suitable for the project. They had previously been destined for demolition, but were then gifted to the committee by the Ministry of Education. The buildings were relocated onto the bowling club site, a new foundation was added and a compete refit carried out to turn the building into a modern multi-purpose pavilion. These are now being redeveloped into a multi-sports, recreation and community centre. The vision was always that the centre would be more than a sports club. Lawlor says that “other groups needed a space. People needed connectivity”. He explains that the idea is that the Pūkeko centre will give community groups a home, allow them to connect, leverage off each other, reduce duplication and grow their own projects. There are a number of groups who are already using the centre and many more that want to set themselves up as regular users, such as Girl Guides, Brownies and health and fitness and senior card groups, plus a number of support networks. Parkview Primary School is located right next door and its Principal, Simon Thomas, says that the clubrooms are currently being used for socialising by the teachers and, in the not-too-distant future, school assemblies will be held at the centre once the hall is built. Parkview doesn’t currently have a big enough space for whole school assemblies, community presentations or other large school gatherings. It may be 5 – 10 years before they can afford to build their own hall so, in the meantime, they are happy to have this arrangement with the Pūkeko Centre. In addition to this, there is an agreement with Sports Canterbury which will allow the school children to start learning to bowl at the club in future. Thomas values the Pūkeko centre as it’s “community driven, has the same vision as the school and there is a great relationship and great community desire” for such a space. After a lot of hard work, fund raising and help from sponsors, philanthropists, funding bodies and private donors, Stage 1 was completed and was opened by the Mayor of Christchurch, Lianne Dalziel, on 24th February 2018. The clubroom building features a bar, a kitchen, meeting spaces and a free community library corner with comfy couches. The space has lots of natural light and a welcoming feel. Funds still need to be raised for Stage Two, which will result in the opening of the hall (hopefully at the end of this year); Stage Three, which will see a breezeway built and the car parking area finished; and Stage Four, which completes the project with the final landscaping and outdoor court construction. If you’d like to learn more about the Pūkeko Centre, check our their awesome video! 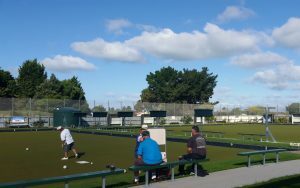 The Pukeko Centre – Our story from Belmont on Vimeo.